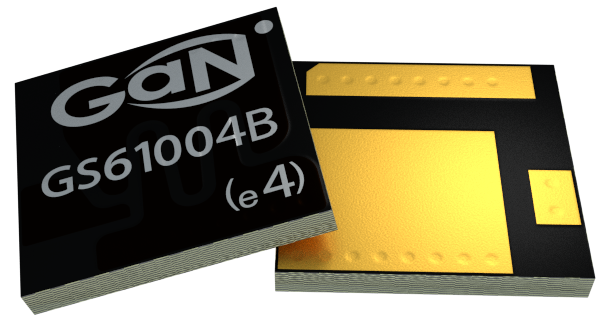 The GS61004B is an enhancement mode GaN-on-Silicon power transistor. 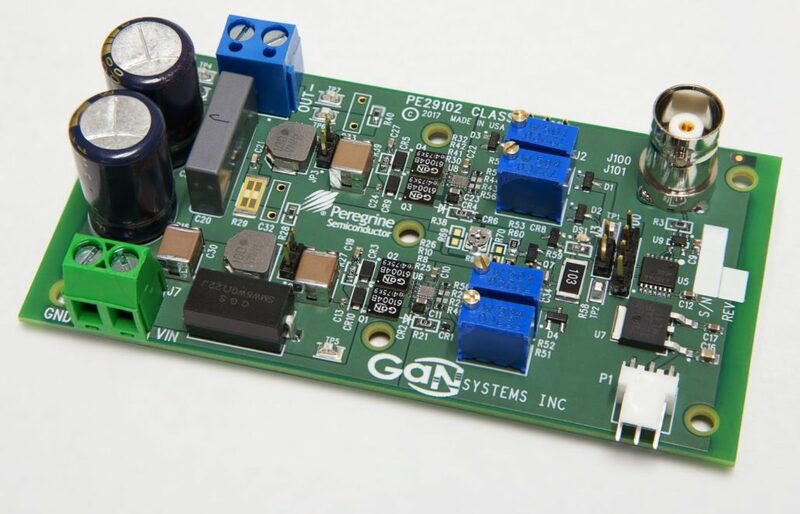 The properties of GaN allow for high current, high voltage breakdown, high switching frequency and high temperature operation. GaN Systems implements patented Island Technology® cell layout for high-current die performance & yield. GaNPX® packaging enables low inductance & low thermal resistance in a small package. The GS61004B is a bottom-cooled transistor that offer very low junction-to-case thermal resistance for demanding high power applications. These features combine to provide very high efficiency power switching. The GS61004B-EVBCD evaluation board allows the user to evaluate our GaN Systems’ GS61004B Enhancement mode-High Electron Mobility Transistors (E-HEMTs) with the Peregrine PE29102 gate driver in a full-bridge configuration. The design is optimized for Class D amplifier applications. The outputs of the PE29102 are capable of providing switching transition speeds in the sub nano-second range for hard switching applications. 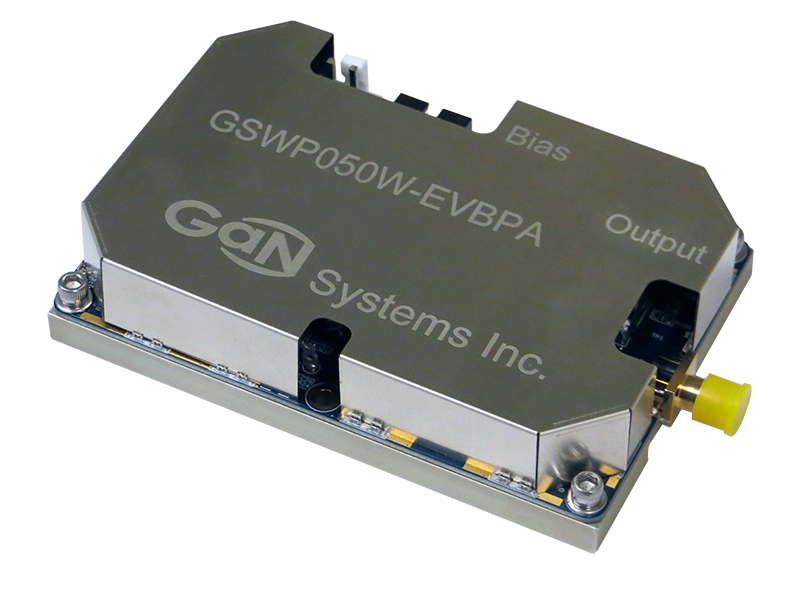 The GSWP050W-EVBPA evaluation board is designed to support and expedite the innovation of wireless power transfer systems. The evaluation board uses our GS61004B E-HEMTs in a 50W 6.78MHz class EF2 power amplifier. Target applications include the wireless charging and powering of items such as power tools, toys, professional microphones, handheld point-of-sale devices, household robots and more.